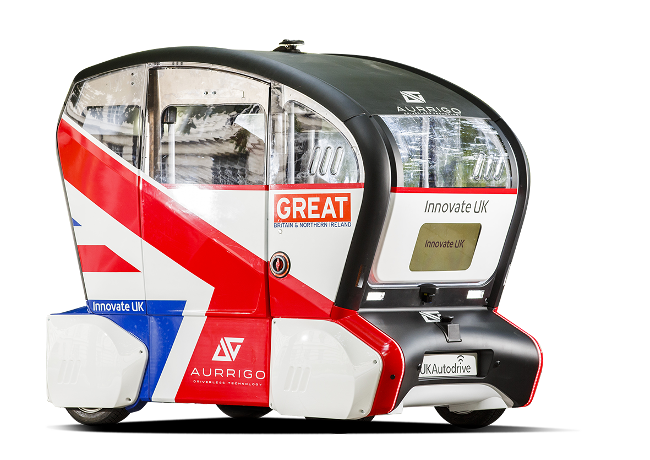 Aurrigo’s PodZero pods are set to change the way we transport people efficiently on the last stage of their journey from transport hubs to and from a wide range of destinations. Pods link together mass transport hubs such as train and bus stations to shops, offices and central facilities making it easy to get around a busy city centre. Transport passengers from individual car parking spaces right to the check in desk, even better – take the passengers to security whilst the luggage goes to check in autonomously. Move people around sporting venues with ease, get the right people to the right entrance easy and safely. Provide personalised transportation from bus stops, train stations and individual car parking spaces to the front door of any building on site. During quieter times, the pods also carry mail, parcels and other light cargo around the site, freeing up staff time for more important tasks. Students, staff and visitors can benefit from personal transport that allows freedom to move around the campus directly from building to building or to transport hubs. 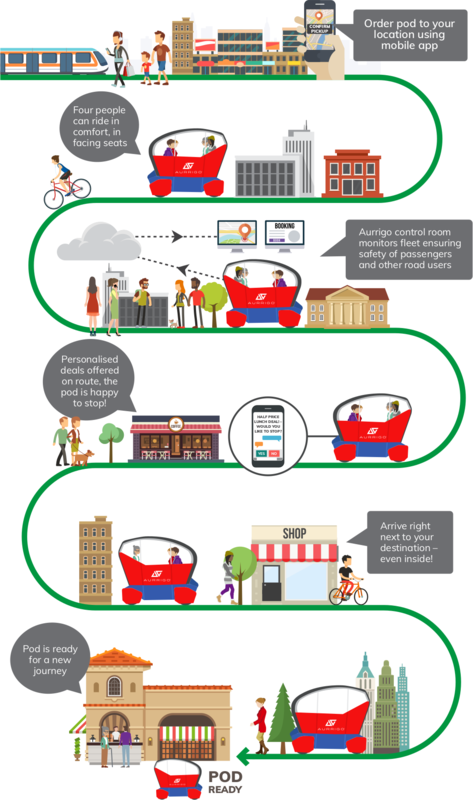 Personalise people’s shopping experiences by using pods to connect up distant parking or transport hubs with individual shops and services. Sponsor a pod to drive more footfall through your door. Let the pod do the carrying whilst you enjoy the experience. Why queue to ride when the pod can save your space, moving you from ride to ride efficiently and with inbuilt ride selection, you can see which ride has the least amount of waiting time. Residents are no longer reliant on their own transport or staff vehicles and can enjoy independent mobility around multi-acre aged care communities accessing social functions, recreational facilities and visiting friends across the site safely, efficiently and with ease. Provide an autonomous tour guide experience with tailored digital screens inside the pods allowing you to showcase the attraction’s history, significant features or show augmented reality recreations in multiple languages whilst ensuring visitors move carefully around large sites stopping and resuming their private tour as they leave one pod to view up close and get in a different one.